In her acceptance speech for Mark Twain Prize for American Humor, Tina Fey announced that she was proud to make her home in "the 'not-real America'". It is perhaps that healthy sense of incongruity that makes the head writer, executive producer, and star of NBC's Emmy Award-winning 30 Rock such a cogent observer of the contemporary scene. 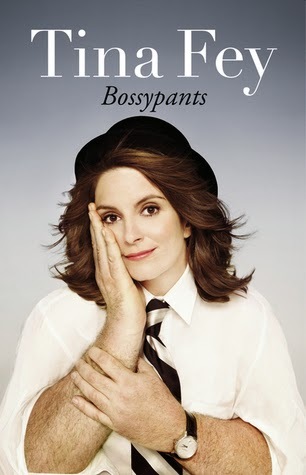 Bossypants, her entertaining new memoir, shows that strangeness has been her constant companion. Fey's stories about her childhood in Upper Darby, Pennsylvania are only appetizers for LOL forays into her college disasters, honeymoon catastrophes, and Saturday Night Live shenanigans. Most funny read of the month; the best possible weekend update. So this was a bit of a weird read ... since I've never actually watched SNL or 30 Rock. So I don't really know much about Tina Fey. Aside from her being a comedian / comedy writer and seeing a few YouTube clips. I did enjoy the book. But I suspect it would be better suited to someone who had more context.